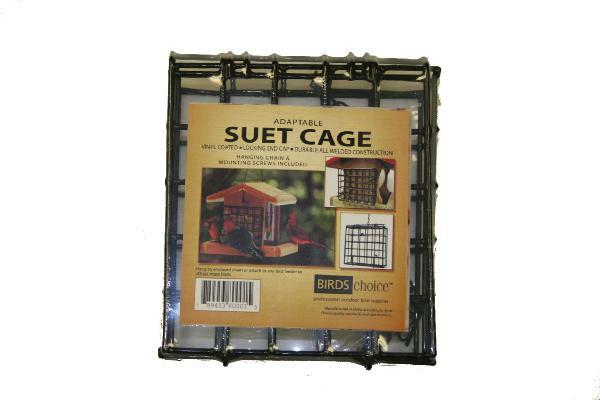 Description: Adaptable suet cage hangs or mounts to bird feeder or post. Vinyl coated. Locking end cap. Durable all welded construction. Holds 1 suet cake.